Received runner up award in the 2012 Belmont Small Business Awards, which recognise the achievements of small and growing enterprises in WA. Invited to feature Atelier Zuhal textiles in the TCF Australia Green Fashion Showcase on October 18 and present a talk on organic certification in the preceding forum at the Claremont Showgrounds. Zuhal Kuvan-Mills is representing Australia at the 2nd International Biennial of Arts in Turkey next year (April to May 2013). 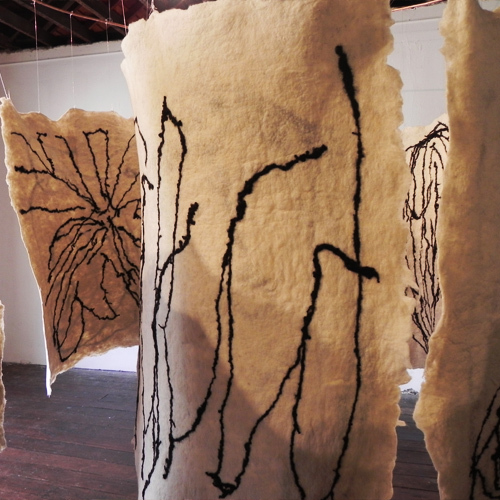 Her organic rugs will be exhibited as an installation work ‘Echoes from Yurt’ consisting of 10 panels.